UPDATED: Tue., April 24, 2018, 11:34 a.m.
What comes after commission’s report on college basketball? RALEIGH, N.C. – College basketball played an entire season amid a federal corruption investigation that magnified long-simmering troubles within the sport, from shady agent dealings to concerns over athletes who’d rather go straight to the pros. Now it’s time to hear new ideas on how to fix the complex, wide-ranging problems. On Wednesday morning, the commission headed by former Secretary of State Condoleezza Rice will present its proposed reforms to university presidents of the NCAA Board of Governors and the Division I Board of Directors at the NCAA headquarters in Indianapolis. And that starts what could be a complicated process in getting changes adopted and implemented for next season. “I expect the proposals will be strong,” NCAA president Mark Emmert told The Associated Press. “They’ll certainly break with the status quo. That’s their charge and their mission. That’s what we need. “I think it’s going to be a very good day for college sports,” he said. That would be welcome, considering there has been no shortage of bad days in recent months. The Commission on College Basketball formed in October , a few weeks after federal prosecutors announced they had charged 10 men – including assistant coaches at Arizona, Auburn, USC and Oklahoma State along with a top Adidas executive – in a fraud and bribery scandal. The case involves hundreds of thousands of dollars in alleged bribes and kickbacks designed to influence recruits on choosing a school, agent or apparel company. 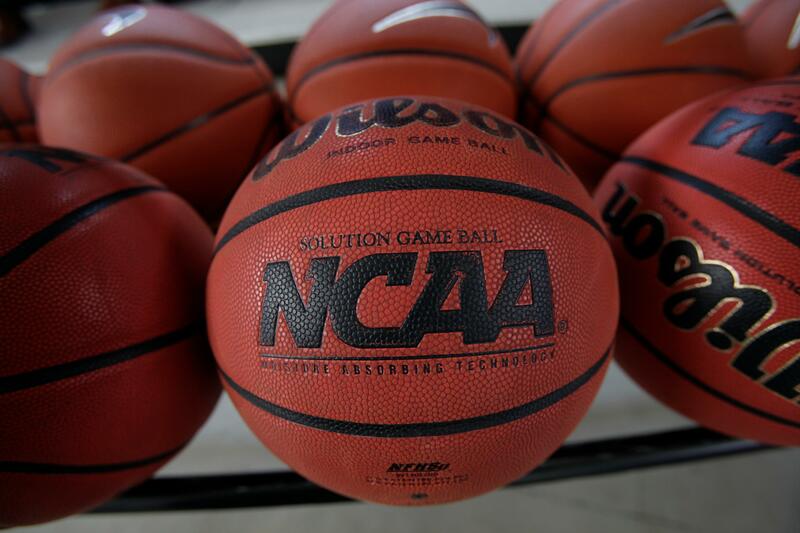 And it has entangled schools such as Kansas, North Carolina State , Louisville and Miami , among others, though prosecutors withdrew a criminal complaint in Feburary against one of the defendants, a youth hoops program director. Atlantic Coast Conference commissioner John Swofford said that case has put college sports in the position of reacting instead of proactively heading off yet-to-emerge problems. One the Rice commission wants to seize. It was charged with finding ways to reform and modernize rules, including looking at the NCAA’s relationship with the NBA, youth leagues, apparel companies and agents. It was also set to review an enforcement process that frequently takes years to resolve complicated cases of potentially major rules violations. The commission features several prominent names in the sport, including former NBA stars Grant Hill and David Robinson, former Georgetown coach John Thompson III, retired college coach Mike Montgomery and Ohio State athletic director Gene Smith. After Rice presents Wednesday morning, the boards will meet to consider adopting the commission’s recommendations, either fully or in part. The next stop would be the Division I Council, a group mostly made up of athletic directors, to craft legislation for implementation. Emmert said the council is already forming subgroups to deal with the targeted areas the commission is expected to address, with the goal of having legislation ready to be presented by August in time for next season. Swofford, for one, said he’d prefer to end the one-and-done model of top NBA prospects arriving in college for one-year pit stops before turning professional, though that would also take agreement from the NBA. Swofford prefers a model similar to baseball by allowing high schoolers to go straight to the pros but require players who enter college to spend two years there. He’d also like to see the NBA-run G League become a stronger developmental option for athletes who don’t want to come to college, a path recently chosen by former Syracuse recruit and McDonald’s All-American Darius Bazley. Regardless, Swofford said, changes must be broad-based because “I don’t think there’s a silver bullet here” to fix everything. And he expects the commission to offer “substantive” findings. “If we can’t react to something like this in a way that brings significant improvement to the system and to what we’re doing, shame on us,” Swofford said. AP College Sports Writer Ralph D. Russo in New York and AP Sports Writer John Zenor in Birmingham, Alabama, contributed to this report. Published: April 24, 2018, 11:32 a.m. Updated: April 24, 2018, 11:34 a.m.